Derwentwater is only a ten minute walk from the centre of Keswick. To its west rise the fells of Cat Bells. To the east is the fantastic viewpoint of Friar's Crag, jutting into the lake. And its southern foot is the entrance to the beautiful Borrowdale valley. You can walk the eight miles around the lake or take a 50 minute trip around the lake on one of the Keswick launches and hop on & off at one of the seven landing stages and explore the areas around the lake. 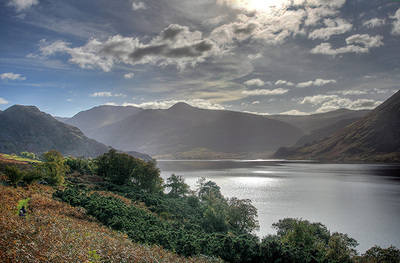 Ennerdale Water is the most westerly of the lakes, and the most remote, so it offers, even in high season, a place to escape. It serves as a reservoir for the coastal towns of West Cumbria, and is the only lake that does not have a road running alongside it. 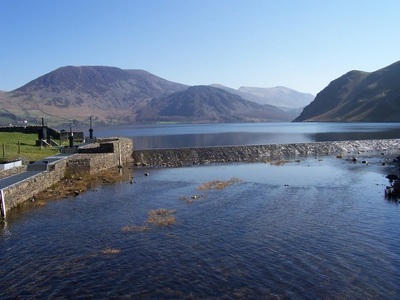 Crummock Water is dominated by the magnificent Melbreak & Grassmoor fells and is a beautifully quiet & tranquil place. This lake is a few feet lower than its neighbour Buttermere to which it is joined by a stream. At the northern end of the lake the stream becomes the River Cocker which flows through Lorton into the town of Cockermouth where it joins the Derwent River. Buttermere is small but perfectly formed, you can walk all the way round the lake in about an hour enjoying the tremendous views. To the north of Keswick lie Skiddaw, over 3000 feet and Blencathra, also known as Saddleback, which is a few hundred feet lower. 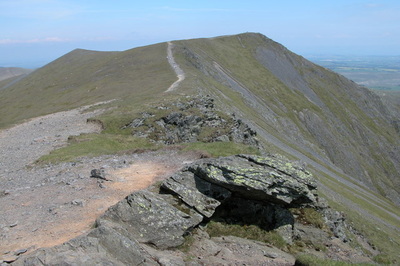 Wainwright detailed over 12 different ways to ascend Blencathra! Both offer stunning views of the western fells across to the Solway & Scotland beyond. Along the western shore of Derwentwater is Cat Bells (1481 feet) providing stunning views of Derwentwater & Keswick. There are too many walks & climbs to name them all but pick up a copy of one of Wainwright's famous guides & you will be spoilt for choice!